Benchmade's Foray folder is an appealing everyday carry knife. With its premium materials and the AXIS Lock, the Foray can certainly tackle a whole lot more than simple day-to-day chores. It has a CPM-20CV steel blade and black G-10 scales over skeletonized stainless steel liners. 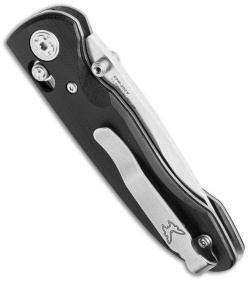 Fully ambidextrous, the Foray has double thumb studs and a reversible, deep-carry pocket clip. The Foray 698 has a satin finished blade with a plain cutting edge. 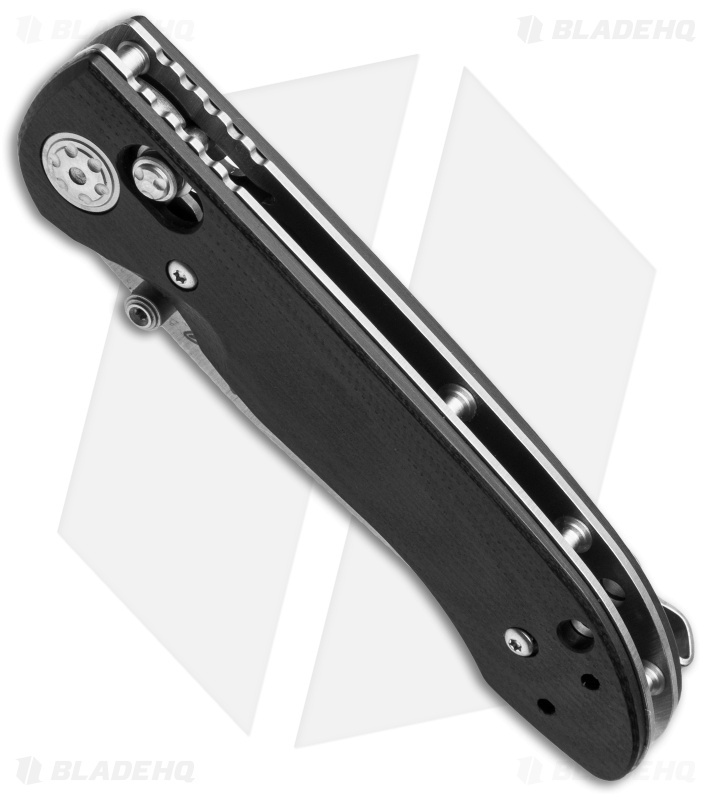 Tired of the 940? Check this beauty out. 20cv steel that is perfect for every day use. My only issue is the price tag with just g10 scales, but they looks and feels great. This is a really nice knife. Blade locks up tight and is well centered. Came sharp but edge was a little coarse, smoothed right up on my buffer. Only downside is I wish the handle was 1/4 inch longer, I've nicked my palm 3 times flipping it shut. This knife just feels solid in the hand. Very smooth and no blade play. I like how the axis bar thumb studs are different and look good. Only downside is the price. For a g-10 scaled knife, it should not be at a near 200 dollars. This is by far the smoothest Benchmade I've handled that has no blade play. Right out of box buttery smooth. The 20cv is amazing. My main work edc as a mechanic is a Griptilian in 20cv. I can cut through drive belts with no effort, and still shave hair. Good clip, perfect centering, perfect size, and bulit like a tank. My Foray sees the most pocket time outside of work, because its too pretty to use in a dirty shop. Although it could definitely handle anything the Grip can. Perfect fit & finish, excellent steel, extremely smooth action, solid lockup with the Axis and a deep carry clip. Feels great in the hand; just feels like a high quality, sturdy knife, one you’d pass down to your kids. Works well as a gentleman’s folder or a medium-use blade. A good middle ground between the heft of BM’s Griptilian and the light weight 940 series or Mini Grip. Only negative is the slight recurve in the blade. I debated a number of knives when I was looking for a new EDC. I wanted something nice, but not too big. 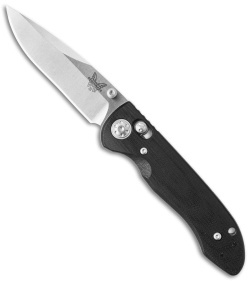 The Foray in my opinion is a sleeper hit for Benchmade. The fit and finish is fantastic and the blade opens smooth and fast. This has become my daily EDC. Mine was perfectly centered. It locks up nice and tight for an AXIS lock. The standoffs, thumbstuds and pivot are nice. The only thing I did was put a drop of loc-tite on the pivot. Super fast shipping from BHQ and excellent service as usual. If you want a super fast Benchmade that is the perfect size for edc, this is the one. The size will fit right in your coin pocket. The 20cv is perfect and easy as hell to put a hair whittling sticky edge on! Takes an edge just like M390! Perfect. The axis lock is fast, smooth, and rock solid. Just added a couple drops of nano oil to break it in quicker from factory and now it's a free dropping, broken in swinging-machine. The stock tip is deceptively sharp and pointy too! Probably the most perfect tip from factory I have in my whole collection. Came adequately centered. Also, the service from bladehq was amazing! I got the knife shipped out super fast! Just get this thing! You won't regret it!